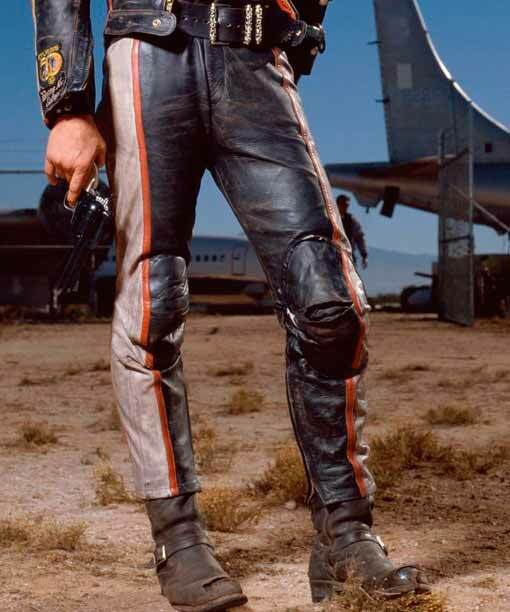 Harley Davidson Leather Pants is the real inspiration from the Harley Davidson and the Marlboro Man film. This is a better version for the fans, who’d like to depict the complete costume. Harley Davidson Pant is crafted in Real leather material. It includes zipper fly alongside padded knees. Supreme stitched attire is black and grey in color with red lining which also containing open hem ankles with vent cutting. This apparel looks stunning in black and grey color.